The Troll Mouse is attracted only to Gnarled Cheese and Wicked Gnarly Cheese. No Charms are required to attract the Troll Mouse. Hunters can encounter the Troll Mouse only in the Lagoon location. Attraction info and special event loot drops for the Troll Mouse can be found at the individual event location pages. 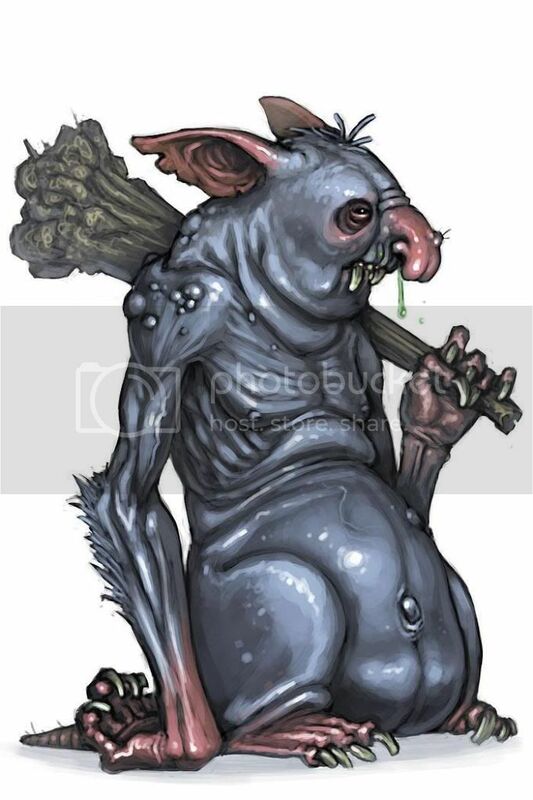 The original image of the Troll Mouse was edited to add warts to the nose to prevent confusion over what was being depicted. 22 April 2009: The Troll Mouse was released with the introduction of the Lagoon location. 25 June 2013: The Troll Mouse gained a vulnerability to Law traps with the release of Varmint Valley. These hideous mice lurk under bridges and rocks waiting to ambush MouseHunters, although their wretched scent often gives away their position! Trolls yell their rude, incoherent babbling to any MouseHunter they cross, almost taking pleasure from it. Those who fall victim are quickly clubbed and their possessions ransacked. Some mice just have no manners! A final word of advice: never feed the trolls! This page was last edited on 21 February 2018, at 05:13.